Ah, summer. In two weeks, we will finally be feeling the beginnings of the season — officially, at least. And that means one thing: Updating our wardrobes to fit our weather #moods. Those bright dresses you can only wear in the warmer months? Time to bring them out of your closet! And if you don’t have any dresses that fit the bill, then it’s time to buy some new new. Our suggestion? Buying anything and everything that has one of our favorite fruits on it. Pineapple! Inspired by Jennifer Garner’s pineapple dress, we’re going to be serving up cocktails with our looks all season long. And we suggest you do the same! Jennifer wore a Draper James x NET-A-PORTER dress to the brand’s event last night, and she looked as sweet as a summer day! 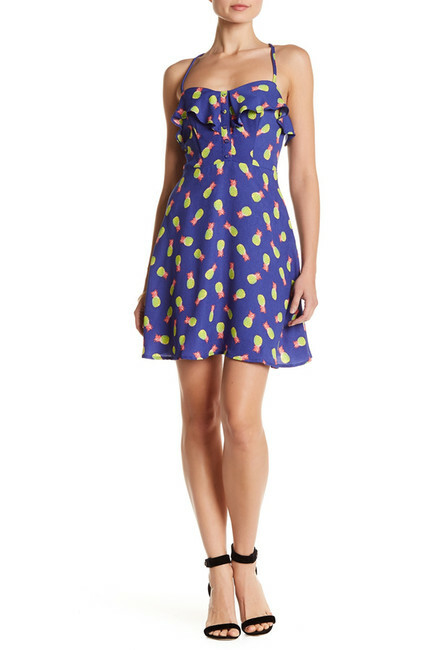 The white dress features graphic pineapples in blue, yellow, and pink. The halter frock even has pockets and a nipped waist, and the slightly flared, knee-length silhouette means it’s wearable for nearly any and every occasion. Jennifer Garner paired the piece with single strap heels, her shoulder-length brown hair in beachy waves, and a light pink lip that matched her dress. 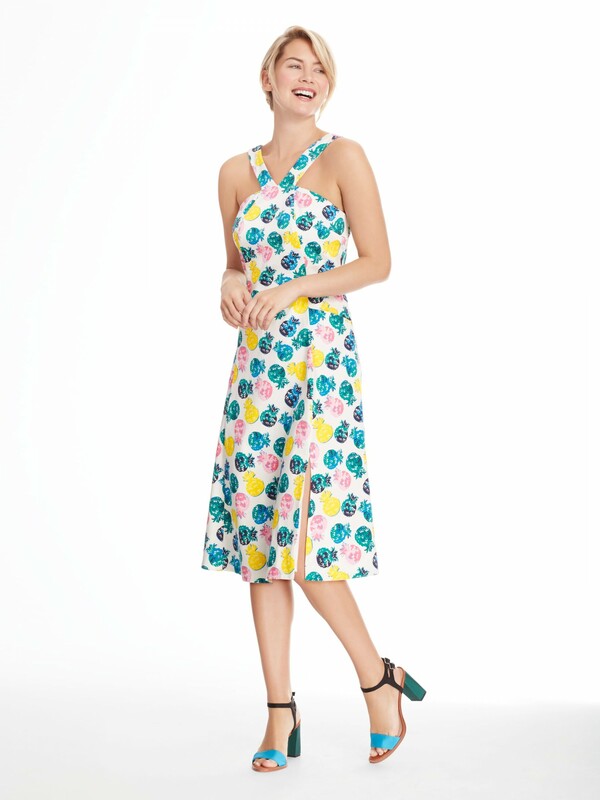 We think this dress would look perfect with a victory roll and some bright pink lipstick! 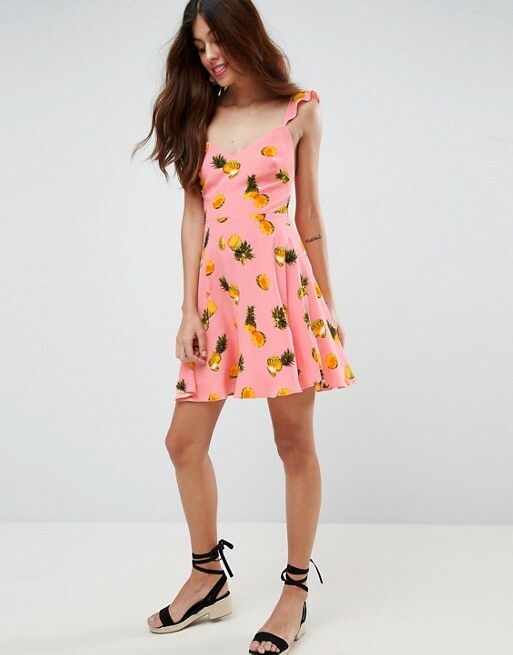 If you want to try this look out for yourself, read on so you can steal Jennifer’s dress or buy one of our other pineapple-themed favorites. Time to get your closet summer-ready!